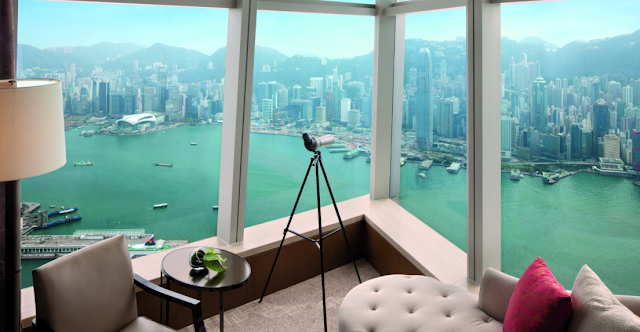 SPG Amex 35,000 Point Offer is Back! The Starwood Preferred Guest Amex is the credit card with the longest stay in my wallet. I've had the card for nearly 12 years and don't plan on giving it up anytime soon. 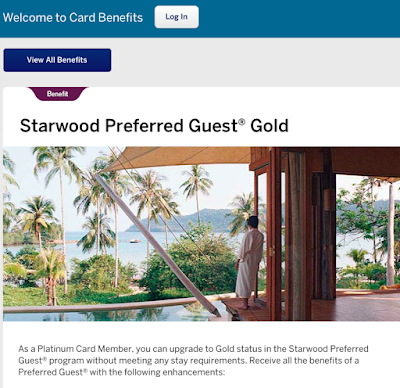 The standard offer has ranged between 25,000 - 30,000 SPG points (we've seen 35,000 before a few times) for the past few years but Amex is now offering 35,000 SPG points on both the personal and business versions of the card. 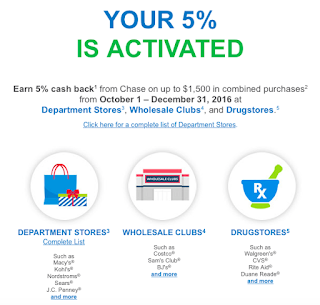 In order to take advantage, you'll need to spend $3,000 in the first 90 days to earn 25,000 points. 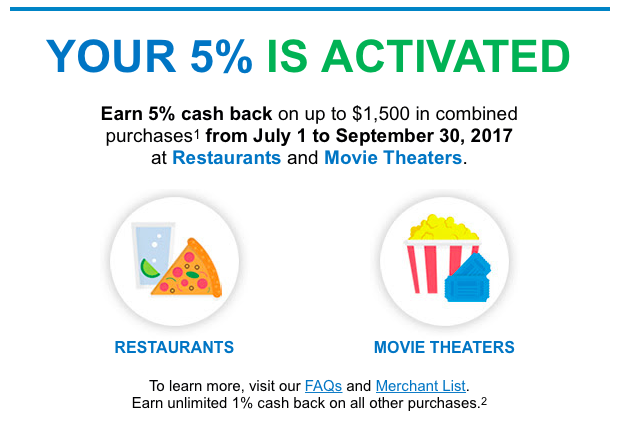 Then another $2,000 within the first 6 months to earn another 10,000 points. 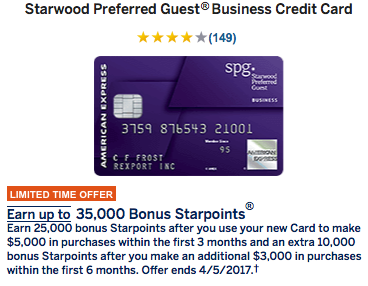 That's 40,000 SPG points after spending $5,000 in the first 6 months of card membership. 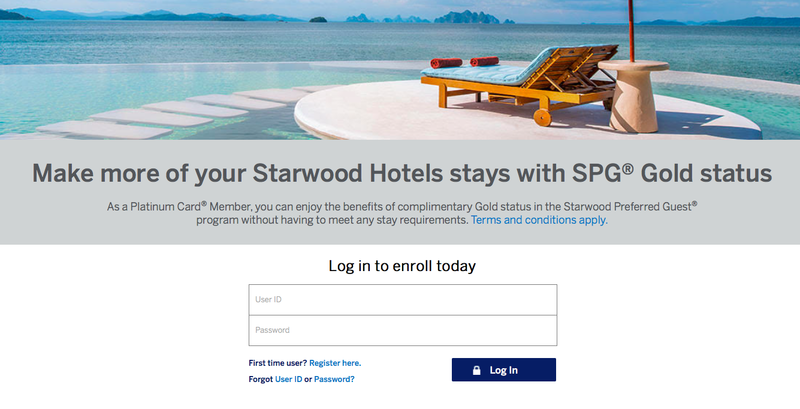 That is a fantastic deal as SPG points are among the most challenging to earn while being the most flexible. Remember, you can transfer SPG points to Marriott at a 3:1 ratio making this deal worth 120,000 Marriott points. 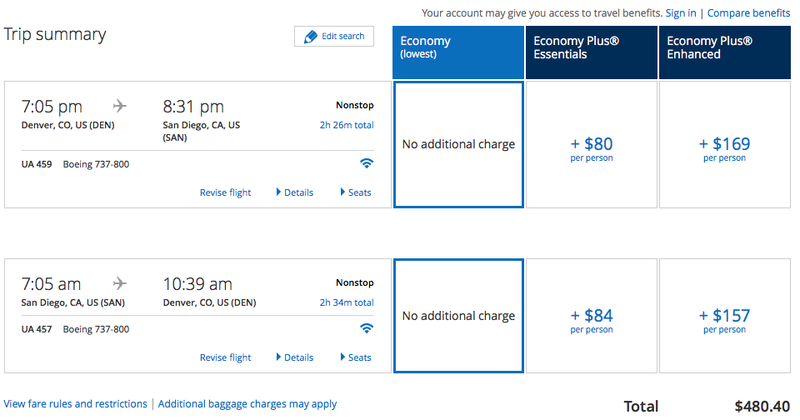 Or you can transfer at a 1.25:1 ratio to a number of airlines turning the 40,000 SPG points into 50,000 airline miles. If you haven't had these cards (keep in mind Amex's once in a lifetime rule) then I would encourage you to apply now. 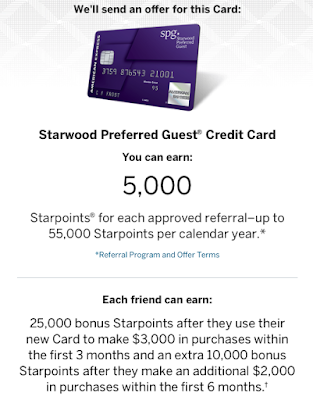 It's unlikely that the offer will ever be better than this and the card may actually go away should Marriott choose to focus their card issuing partnership exclusively on Chase. To that end, if you are interested in a referral link (I'll earn 5,000 SPG points) please send me an email and I will send it over. In late 2015, Emily received a targeted offer via mail from Citi. 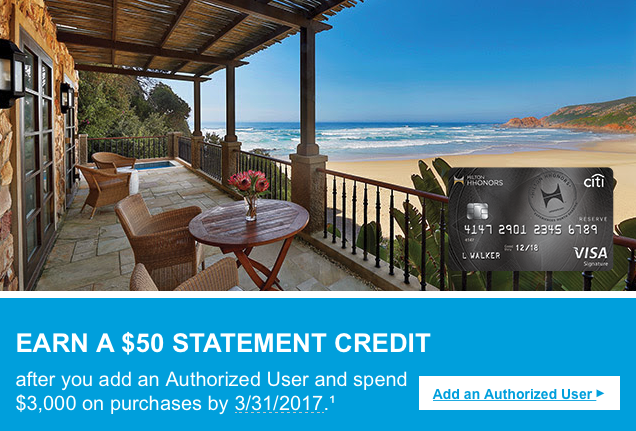 Apply for a new American Airlines AAdvantage card and receive 60,000 AA miles after spending $3K in 90 days. She met the spend requirements, received the 60,000 miles, and we used them to fly to Abu Dhabi. 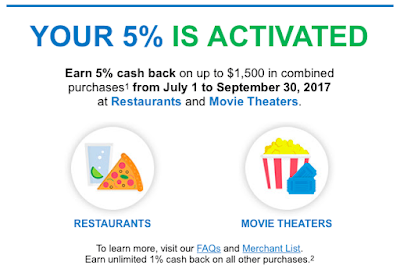 We cancelled that card in late 2016 and unbelievably, Citi is back with the same targeted offer 60 days later. Not one but two pieces were received in the mail this past week. 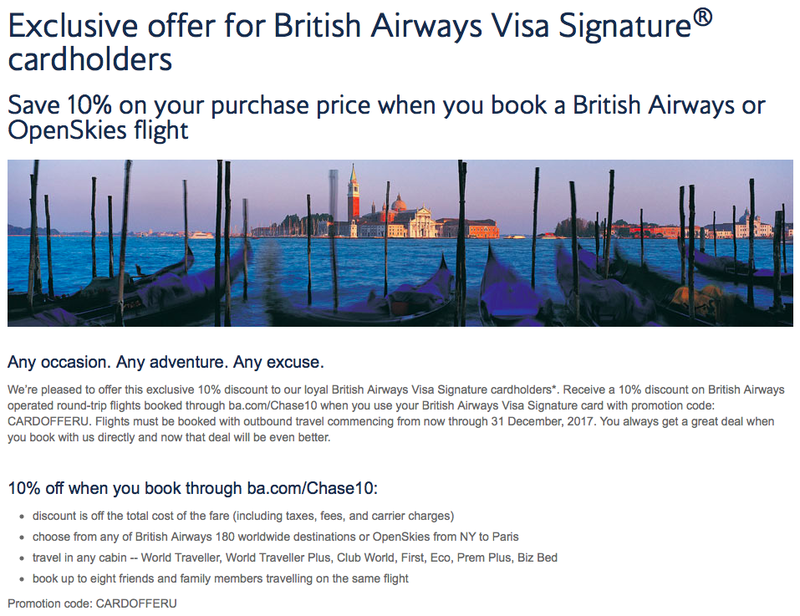 Not only is this a great offer but Citi's loosening their grip on people churning this card. Emily's already been approved and we'll likely meet the spend requirement in April. I suspect that the 60,000 miles will post no problem given the extent Citi has gone (multiple direct mail pieces) to win back her business. If so, that will be 3 bonuses from this card in <3 years. I'll report back once the miles post. Check your mail as this is a great offer! I applied for the 50,000 point signup offer back in November. I've completed the minimum spend requirement and received the 50,000 points in my account. So that makes 3 signup bonuses in ~3 years. 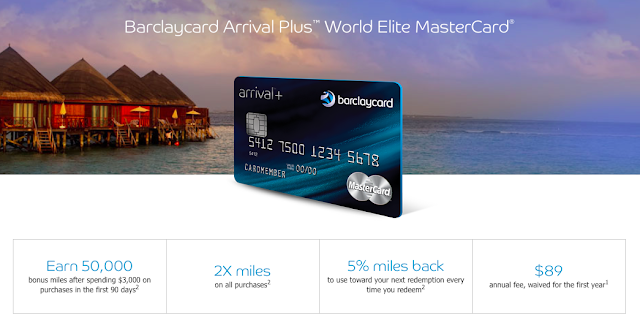 Barclaycard offers the Arrival Plus World Elite MasterCard in the US with a 50,000 point signup bonus. This card is a great "cash replacement" for travel expenses as you'll get 2x miles on all purchases which can then be redeemed against travel purchases. 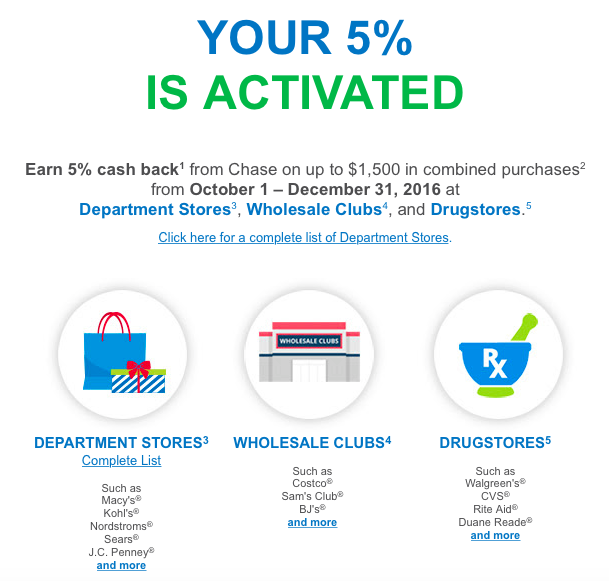 You also get 5% of the miles back in the form of a rebate on all redemptions. The minimum redemption is a $100 purchase (used to be $25 and the rebate used to be 10%). This year, I'm going to provide a recap of all cards acquired in 2016. There are 25 so grab a cup of coffee (or a cocktail) before you sit down to read this one. In total, we acquired 25 new cards generating 1,659,500 miles and points from sign-up bonuses. We paid $2,448 in annual fees but received $1,200 in travel credits. 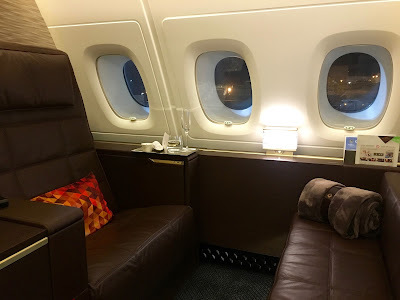 Since we spend more than $1,200 a year on travel, I value the credits as cash. That means we paid $1,248 out of pocket. That doesn't include another $800 in travel credits we'll receive in 2017 from annual fees paid in 2016. 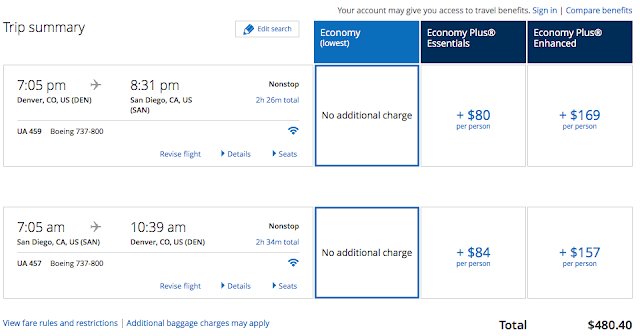 If you include that, our out of pocket expense for nearly 1.7M miles and points was less than $450. 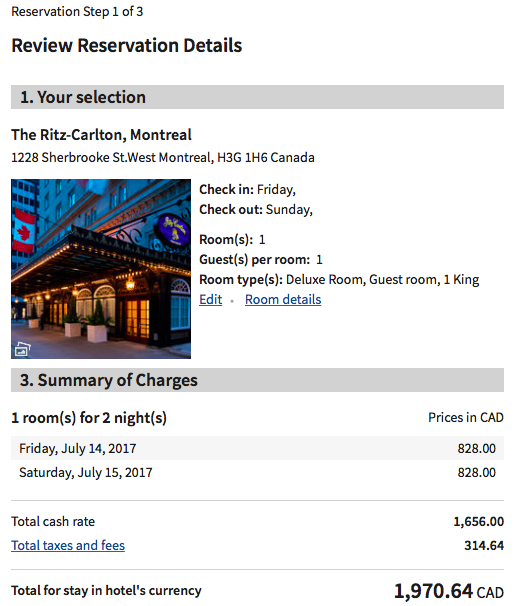 If you add the $200 in flight discounts from the Ritz-Carlton Rewards card, our out of pocket expense is down to about $250. 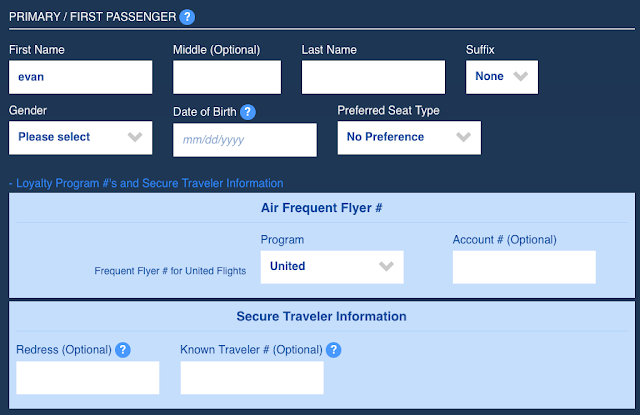 At the end of 2015, I picked up the Citi American Airlines AAdvantage card for Emily. 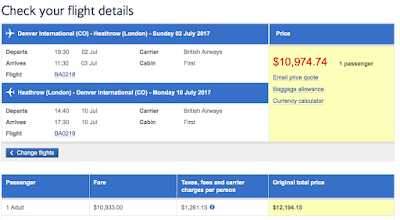 The targeted offer provided 60,000 AA miles after spending $3,000 in the first 90 days. 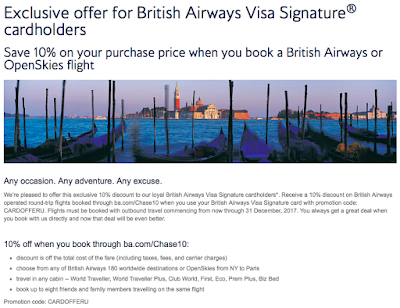 The card also offers a 10% mileage rebate (up to 10,000 miles) on award tickets booked with American Airlines miles. 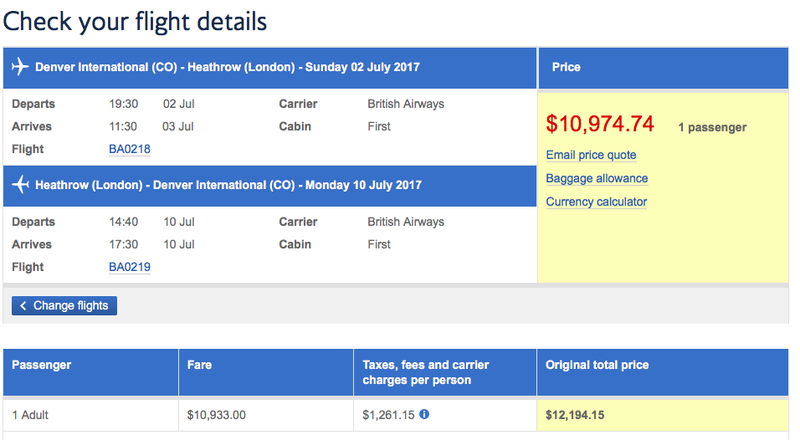 We were able to take advantage of this in late 2015 for our trip to London and Abu Dhabi in March of this year. We were also able to take advantage of this benefit this year for our upcoming trip to Dubai. 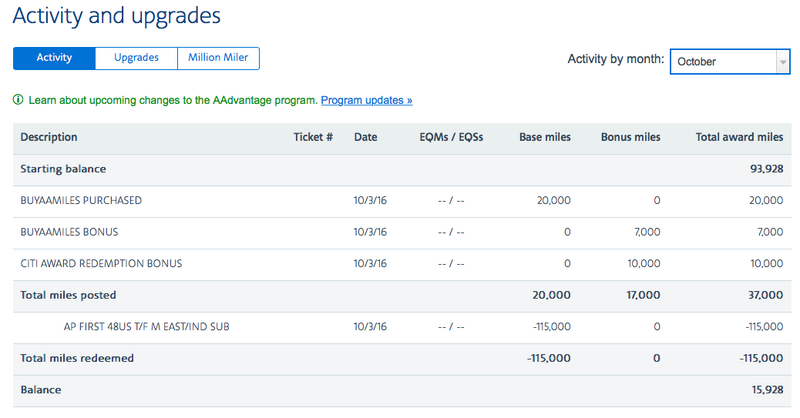 While we booked separate tickets with miles from each of our accounts, Emily's 115,000 mile award redemption triggered the credit and the next day she had 10,000 miles back in her account. This turned out to be a pretty amazing card offer. 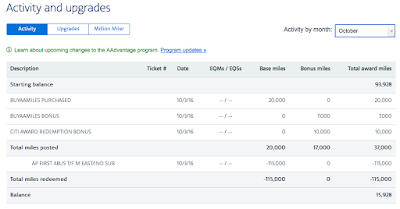 We earned 60,000 miles from the signup bonus and 20,000 miles in the form of award ticket rebates. Going forward, the 10,000 mile rebate more than offsets the $95 annual fee (waived for the first year). I recently upgraded Emily's Amex Business Gold to Business Platinum. The offer was too good to pass up - 50,000 mile bonus after spending $10,000 in 5 months. That's after receiving 75,000 miles for signing up for the gold card in the first place. I was also able to pay a pro-rated annual fee (~$120) and received the $200 travel credit at Amazon! 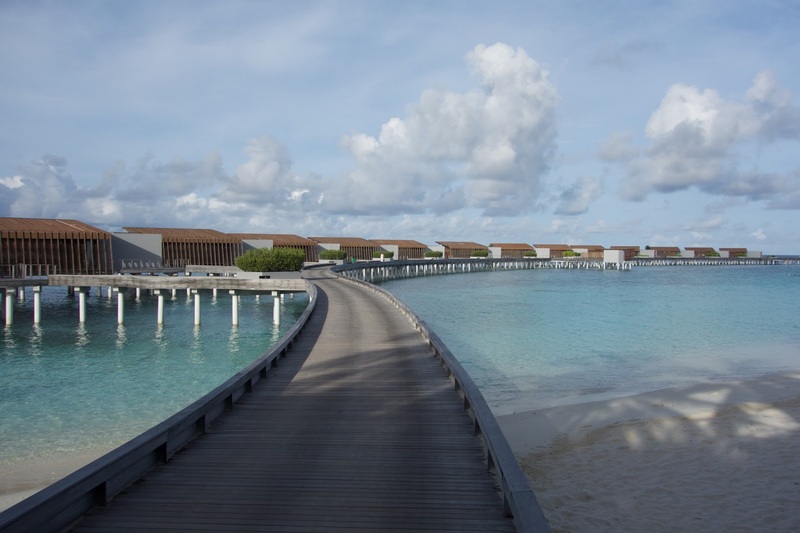 One of the benefits of the Amex Platinum is the ability to receive free SPG Gold. While not life changing, SPG Gold provides the potential for an upgrade, additional points (3x vs. 2x) on stays, and a welcome amenity. Emily has a few SPG stays coming up in the next six months so figured it would be worth getting her status upgraded. 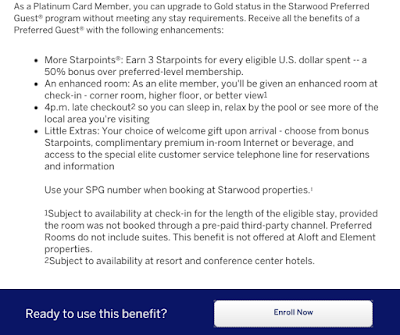 Since I've been SPG Gold, I've never actually leveraged the SPG Gold perk from Amex. It was actually super easy. First, go to this Amex website. Click on "Enroll Now." 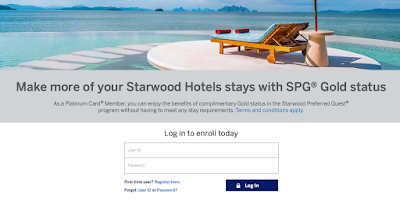 Login and confirm your SPG Number. That's it. The page states that status should be updated within 72 hours. I upgraded this morning and still haven't seen the status change but will post once it's upgraded to Gold.